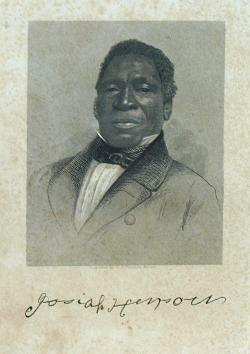 Many people don't realize that Harriet Beecher Stowe's "Uncle Tom's Cabin" was based on the true story of a former Maryland slave, Joshiah Henson. Born into slavery at Port Tobacco, Charles County, Maryland, Henson lived and worked on a plantation in what is now North Bethesda (Rockville), a few miles from the Capital beltway. Henson was a powerful figure in his own right. His story is that of the underground railroad, finding refuge and freedom in the Dawn settlement in Canada, and devoting his life to abolitionism and his new community. Henson went on to serve as an officer in the British army and Methodist minister. 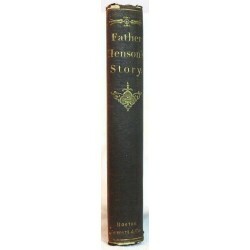 We recent acquired a copy of Henson's autobiography, "Truth stranger than fiction: Father Henson's story of his own life" published in 1858. Stowe explicitly credits Henson for the inspiration of Uncle Tom's Cabin and wrote the introduction. The book serves as a fascinating look into slave life in ante-bellum Maryland and one man's journey to freedom. The PBS series, Time Team America devoted an episode, The Search for Josiah Henson, to Josiah Henson's cabin. By the way, Kurt Andersen's wonderful American Icon series on the WNYC radio program, Studio 360 provides a modern view of the evolution of the character and perceptions of Uncle Tom. Montgomery County recently purchased the former house Henson lived in and is in the process of turning it into a park. Next time you drive on Old Democracy Blvd. check out Henson's former home. great job quite interesting review.